Jennifer Pham was born in 1985 in Vietnam. She moved to USA in 1988. 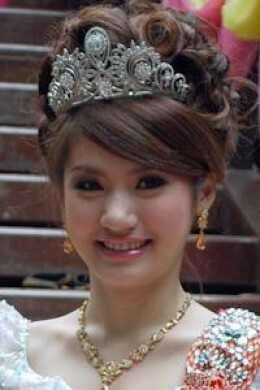 Jennifer Pham was crowned Miss Vietnam USA 2004, Vietnamese American Miss Asia USA 2006. She has been involved in numerous philanthropy works throughout the US and Asian countries. On July 25, 2007, she married with well-known Vietnamese singer Quang Dung, at the Sofitel. Ho Chi Minh City, Vietnam. The couple celebrated their wedding in the United States on September 21, 2007. However, she and Quang Dung have been separated since 2009 and they’re both taking care of their own son, Bảo Nam.